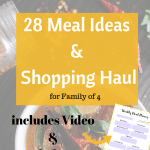 Home » Latest Posts » Uncategorized » Food Budget: Can you REALLY save money? 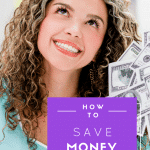 Here is an exciting thought – I really like when I budget and spend less than I plan for. Since being with my husband the past 2 years, we have been very good with our money and hold fixed budgets for everything from food, petrol, bills (well that is fixed every month anyway)….and heck, we even have a fixed budget labelled “Fun Money” for spending as a family any which way we see fit each month. This month we will be putting into practice a lot more tightly those budgets, as we need to really save every little penny for making sure future months balance. I won’t go into detail, but that is the reality. During the summer, we amazed ourselves at the wonderful savings and top-quality that can be found by shopping at Aldi (this is not sponsored but completely honest). Parents- if you have mouths to feed, Aldi is a god-send. You can get excellent quality food, less choice (you simply don’t need 4 versions of tomato ketchup to choose from though when you have one good one! ), but you get good honest food to make amazing family meals. Everything we have tried, we also taste the Aldi version and then if we like, we stick, if we don’t we switch back to brand versions. It’s that easy. My weekly food shop went from £80 odd down to around £60 with same amount of food for us all – no cutting corners. That puts extra money into our savings and pockets for more fun things! Love it! Tonight along these lines I stumbled upon a wonderful great App called “My Supermarket” – again this is not a sponsored post but my honest views. 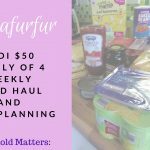 I wanted to see really for the brands and foods we love, can I get it cheaper on offer each week by shopping in different places as a one off – OR – can I be alerted when things we love are on offer and stock up? This App does just that. So right now…I’m sitting about to enter our weekly food bill to compare 11 stores for pricing and find out how much money I can save? Excited….yes yes yes…I actually am! For the branded items we love which was only just 8 items, I had nearly £7 difference in pricing between Asda, Sainsburys, Morrisons, Waitrose, Iceland, Tesco, and a few others. That is huge! Plus I also set price alerts on the branded items using the App, so that I can see when something is on special offer at a great price. Let’s see what difference I can make to something as simply as how much it costs us to eat as a family each week. To some this may seem silly or not a worry, but like most of the working population our money is precious and I want to use it for the best things in life. Why we are changing our Television watching patterns to save our brains…. and save money!